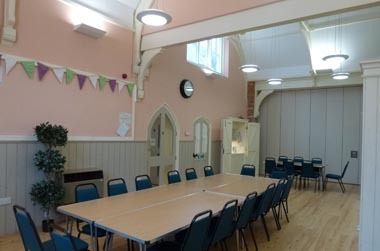 The West Hall has direct access to the kitchen. 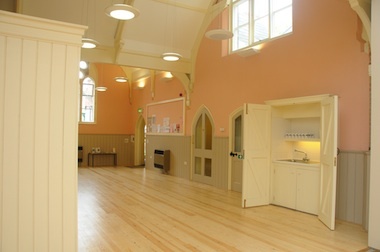 The kitchen, along with the West Hall, can be hired outside of café opening times. 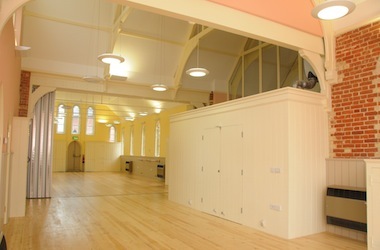 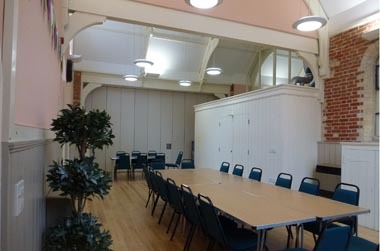 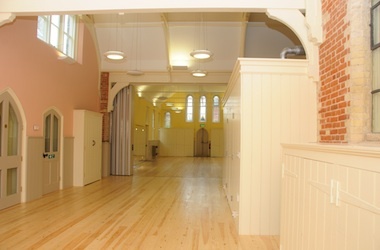 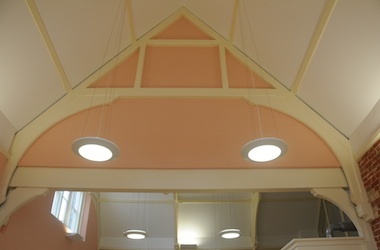 (after 4pm and all day Mon and Sun) The East and West Halls can be combined to form one larger space by opening the dividing wall partition - some of the photos show this dividing wall open.